← Two Very Busy Weeks in Cork, Cloyne and Ross – in Photos! 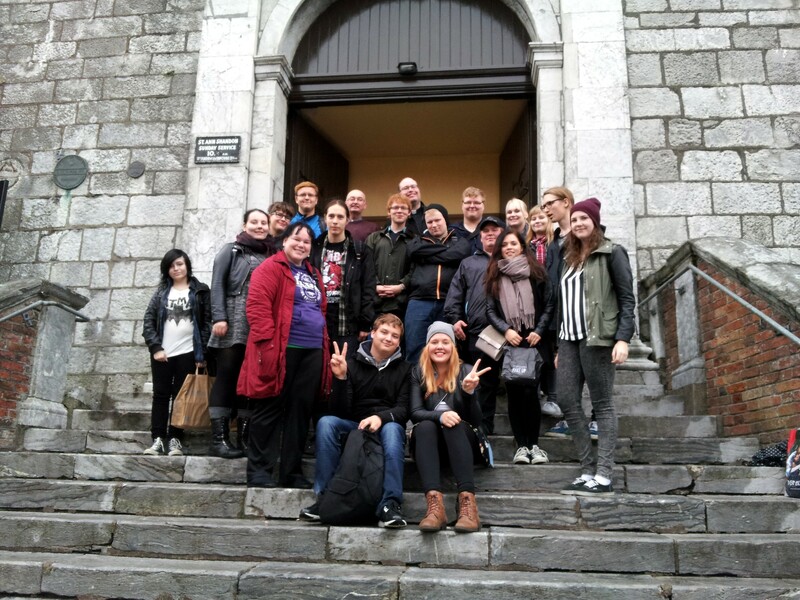 We were delighted last week to welcome a Finnish youth group on a visit to Cork. Eighteen young people, led by Pastor Tapio Hietalahti and Tiina Jokiperä, deacon and professional youth worker, are members of the Evangelical Lutheran Church of Finland, from Keski-Pori parish in the Arch-diocese of Turku. Their main purpose was to experience the Porvoo communion in real life and to explore ecumenism in an Irish context. To this end they enjoyed a packed programme of trips and events. 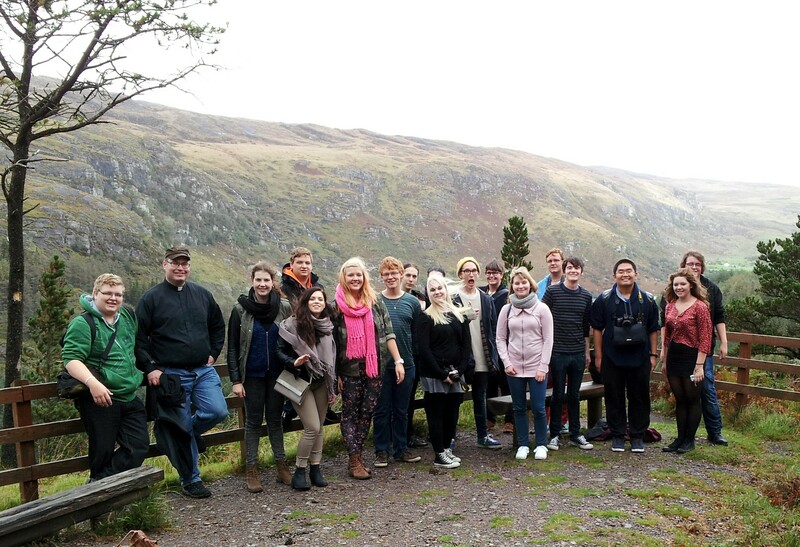 These began with a trip to Gougane Barra and Ballyvourney exploring links to our own St. Fin Barre, and St. Gobnait. Arranged by the Revd. John Ardis, and kindly provided by the UCC Chaplaincy, the leader on the day was the Chaplaincy Methodist intern, Mr. Dudley Martin. On Sunday, 20th October, Pastor Tapio assisted at the Choral Eucharist in St. Fin Barre’s. In the afternoon met the Bishop, Dr Paul Colton, before enjoying the service of re-dedication of the Cathedral organ. On Wednesday 23rd October they enjoyed meeting the Revd. Daniel Nuzum in his capacity as Diocesan Ecumenical Officer. He spoke to them and led a discussion about ecumenism in Ireland. Of particular interest to them during their stay was the observance of the daily offices in St. Fin Barre’s Cathedral, led by the Very Revd. Nigel Dunne, Dean of Cork. Subsequent days saw them enjoy tours of St. Fin Barre’s Cathedral and St. Anne’s, Shandon where they were warmly welcomed by the Revd. Brian O’Rourke; as well as visits to the holy sites of the Rock of Cashel and Holy Cross Abbey, Tipperary, and the Honan Chapel, UCC. Many of those who had the pleasure of meeting them were greeted and thanked with songs of Finnish praise, and already many of them are planning a return trip to our shores. Perhaps one of our youth groups should explore the possibility of a visit to Finland! Our Finnish visitors on the steps of the Church of St Anne, Shandon following a visit with the Reverend Brian O’Rourke. This entry was posted in Church of Ireland, Cork, Diocese, Porvoo Communion, Religion in Europe, Youth Work. Bookmark the permalink.